Under the Almond Tree will continue to be published in English. My hope is that you will continue to follow our posts whether you choose the Swedish version at Lantliv or Under the Almond Tree. 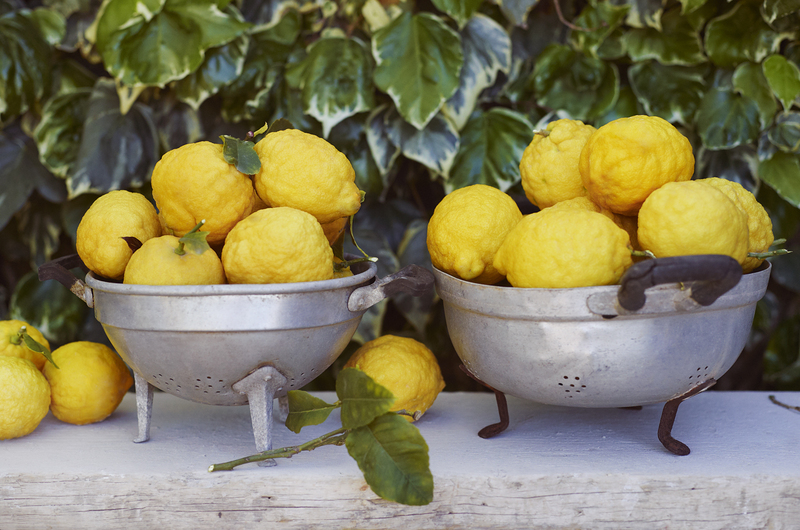 This week’s post is from our garden, home to an amazing lemon tree. 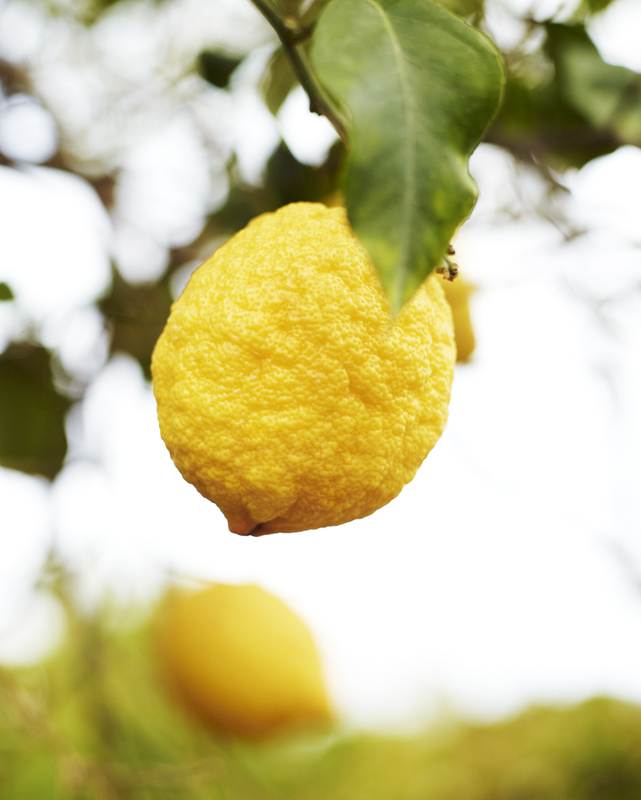 The name for this tree is Limone Lunare. Upon the full moon, it makes new lemons. Picking the fruits releases their perfume, a magical scent, fresh and sweet at the same time. The tree provides us with fruit year round, but during the hottest summer months when rain is in short supply it adjusts its production accordingly. Late January through April the tree is full of yellow lemons. I have a weakness for all sweets and desserts made with lemon. The first time I ever tasted this lemon pie was after a dinner served by my friend Sara, a master of desserts and baked goods. She generously gave me her recipe. Over the years and many pies, I have changed it a little bit by adding more lemon cream and including some vanilla to the crust. 10 years later, this pie remains a favorite to all. Enjoy! Preheat oven to 400 F (200 C) degrees. Melt the butter over low to medium heat on the stove. In a bowl mix the flour, sugar and vanilla sugar. Pour the butter over the flour mixture and stir to a smooth dough . Place the dough into the cake tin. Using your fingers, make a thin crust by pushing the dough evenly across the cake tin as well as up a bit on sides of the tin. Place the pie crust on the lower rack in the oven bake pie crust at 400 degrees F (200 C) for about 7-8 minutes remove and allow to cool. In a bowl, whisk sugar and eggs to soft peaks, sift the flour into the bowl slowly alternating with whisking to make smooth batter, last add in the lemon juice. 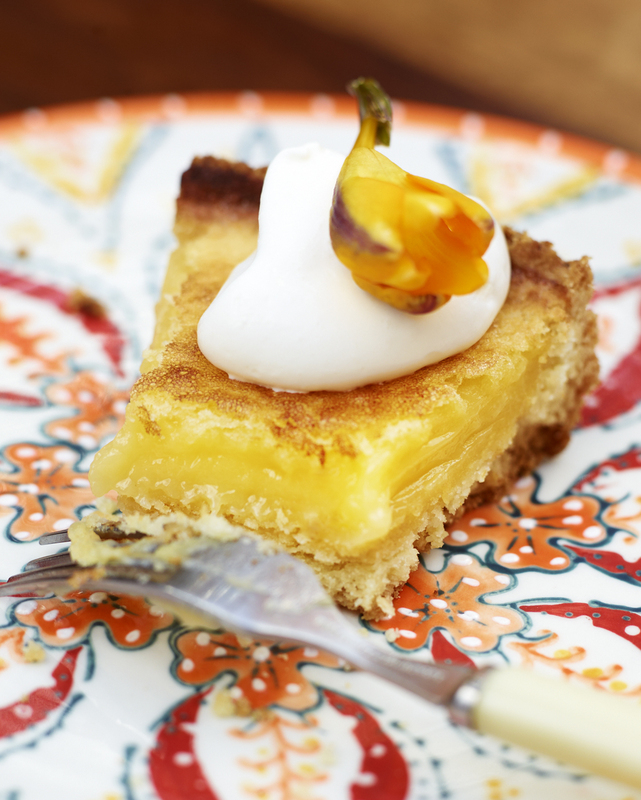 Fill the crust with the lemon cream and bake for 10 minutes on the lowest rack in the oven. Let pie cool before serving, this allows the cream to sit and gel a little bit. Serve with whipped cream . This entry was posted in Baked Goods Recipes, Dessert Recipes and tagged Anna Huerta, dessert, dolce, Lantliv, lemon tree, limone lunare, Pantelleria, Sicily, Under the Almond Tree, winter on January 26, 2014 by Anna Huerta.